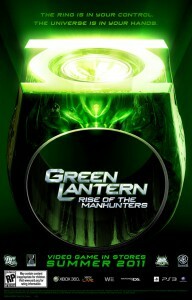 Warner Bros. is gearing up for the release of Green Lantern next summer, and they plan to capitalize on every aspect. They are working on a video game which ties into the film. I can’t say I’m surprised or entirely excited about the prospect. WB’s movie tie-in games don’t have a very good history, almost every single one I’ve played has been underwhelming. We’ll see how it turns out though.